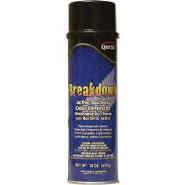 Breakdown Odor Eliminator works great against organic odors like pet and body odors on carpets and upholstery. It can also work as a pre-treatment for organically based odors in laundry. Easy to use thanks to its inverted valve.